Having been a food blogger for more than two years now, I like to say that I am immune to the phenomenon of looking at pictures of food and then feeling hungry. While that is true for the most part, it is not always the case. 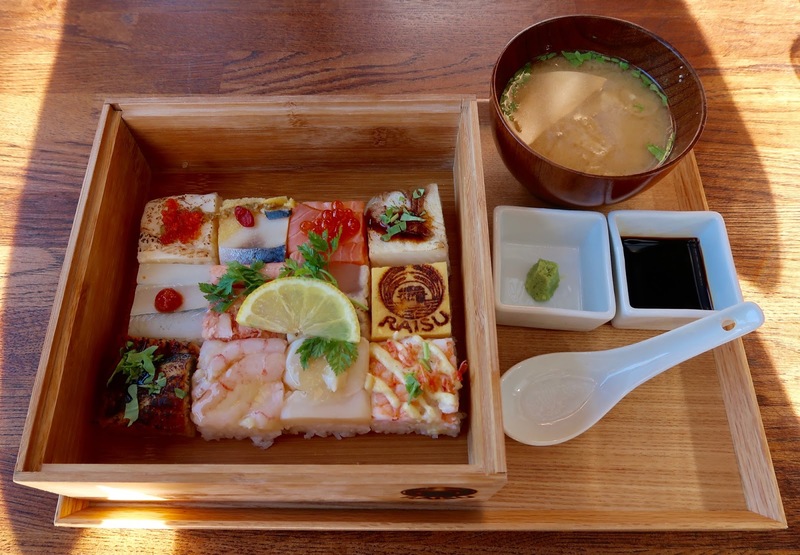 Recently, I have been seeing too many pictures of Raisu's The Ocean's Offerings, featuring twelve pieces of exquisitely square-shaped sushi, on my Instagram feed. How was I supposed to resist making a trip to Raisu to try it out for myself? Joining me on this adventure was Picky Diner, Food Wench, and Albert, a well-known foodie hailing from Shanghai. Raisu is a second-storey restaurant situated on the west side of Kitsilano. Raisu is the newest addition to the Kingyo group of izakaya-style restaurants, which also includes Kingyo, Suika, and Rajio, and for a restaurant that had been open for just over a month, I did not expect it to be so busy. When I called to make a reservation several days in advance, all they had left for us was a table on the patio. I had ambivalent feelings about taking a spot on the patio because I had never dined on a patio before. However, Food Wench thought it would be a great idea to dine out on the patio since it was a nice summer's day. We did enjoy the sunshine and the summer breeze alright, along with some abominable lighting situations and of course, the lovely company of several obnoxious bees. 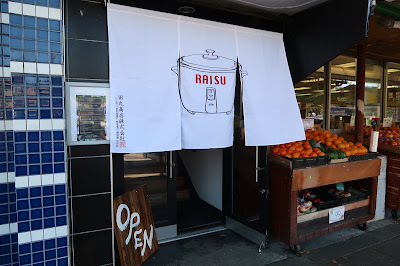 While the entrance of Suika was decorated with a watermelon ceiling lamp, the entrance of Raisu featured a noren with an image of a rice cooker on it. I was half expecting a ceiling lamp in the shape of a grain of rice to be at the entrance, but I guess this will have to do. Walking up the stairs, we saw a fancy, elegantly decorated dining space, and the staff was working busily in preparation for the dinner crowd. Since they only make 10 orders of The Ocean's Offerings every lunch or dinner session, I pre-ordered two of these for my table when making my reservation. Unfortunately, I wanted to sample and rate every piece, and no one really wanted to split each piece with me. However, with much persuasion, begging, and pleading, Food Wench agreed to do so. She was such a good sport that she even offered to do all the cutting, which was a good thing for our safety because I can count on one hand the number of times I've held a knife. The highlights from this box were the Salmon/Ikura and the Botan Ebi. The Botan Ebi had a slight spicy zing to it and was reminiscent of Miku's Aburi Ebi Oshi, albeit without the creaminess of seared oshi sauce. The Sayori (Japanese half beak) was juicy and went well with the dab of sweet chili. The Tuna and the Hotategai ended up being a bit weak in flavour. 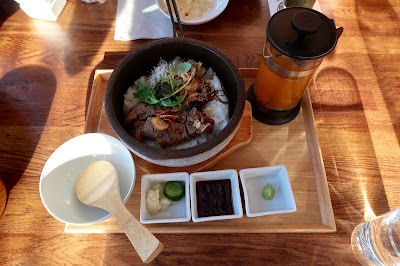 Overall, most of the pieces were tasty and well-prepared, and the rice was just the right texture. 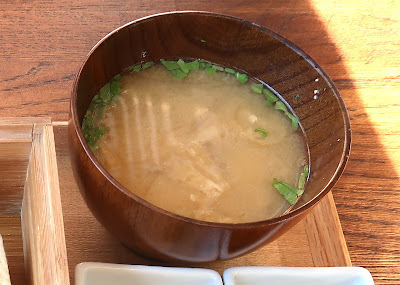 The Miso Soup that accompanied The Ocean's Offerings contained a hearty mix of bean curd, mushroom, and green onion. The balance of ingredients here was very good. The Jumbo Seafood Kaki-Age Udon came in a jumbo-sized bowl and consisted of crispy kale and a deep-fried seafood medley, along with udon noodles. 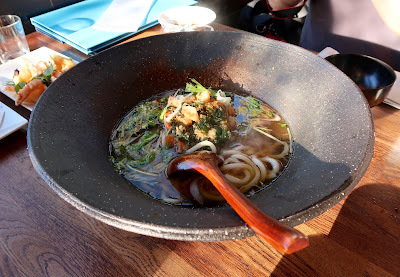 I thought the udon noodles could be a little more al dente, but I did enjoy the savoury flavour and soft texture of the submerged tempura batter bits. The seafood medley was a mix of predominantly scallops and crunchy vegetables. The Sizzling Stone Beef Steak Hitsumabushi came with Canadian AAA tenderloin beef, garlic butter fried rice, and a helping of dashi broth on the side, which you can mix with the rice once things start to dry out. I liked the richness of the garlic butter fried rice, which was mixed with kombu (seaweed) for more flavour. However, the beef was rather tasteless, and since no one at my table liked this dish in particular, I got to use it as my filler. 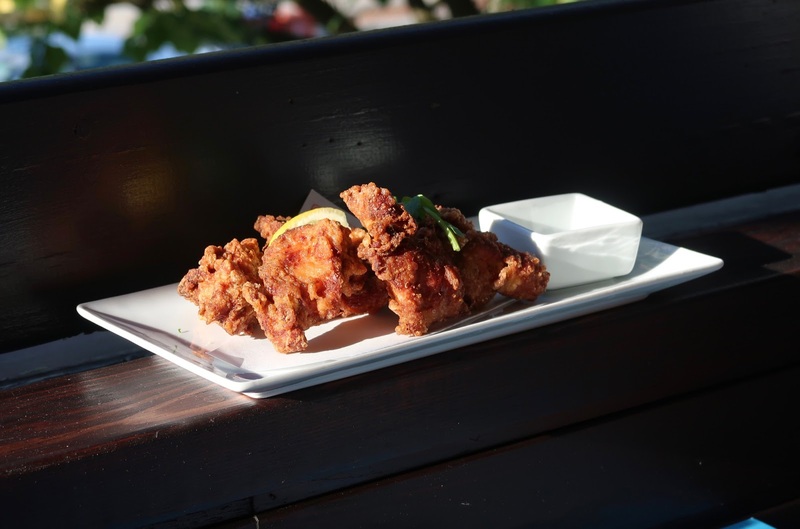 Next, the Chicken Karaage came with juicy, tender chicken along with a sprinkle of herbs for an extra kick. Although the exterior was a little harder than desired, this was a notch better than the Chicken Karaage at Suika. Food Wench claims that she has a white-girl love for Ebi Mayo, so we ordered one to try. Unfortunately, I'm not even remotely close to being a white girl, but I share a similar love for Ebi Mayo and have featured it many times on this blog. 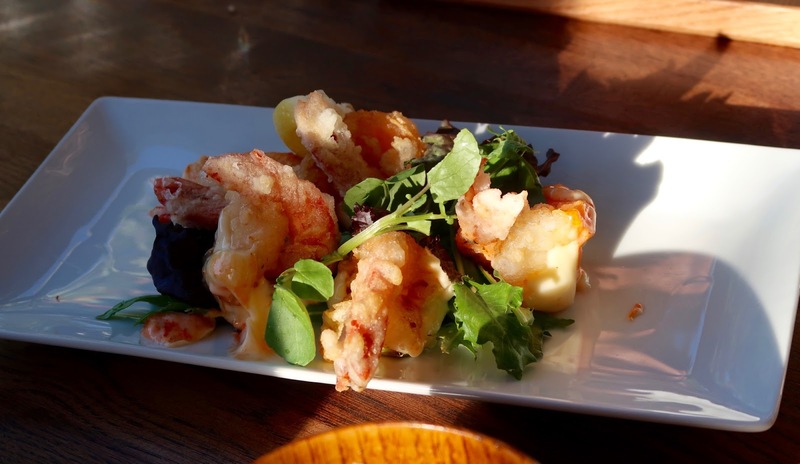 This version featured very plump tiger prawns (the menu didn't lie!) and came with mildly spicy chili mayonnaise. A crispy layer of batter on the outside rounded off this excellently prepared dish. 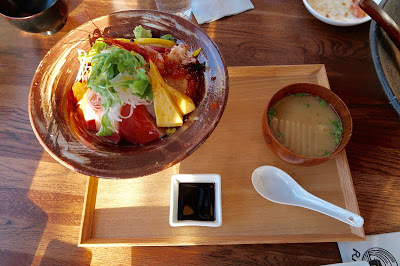 After seeing on the menu that the Deluxe Seafood Bowl came with "generous portions" and consisted of many different types of seafood (salmon, ahi tuna, yellowtail, snow crab, tai, amaebi... you name it), Picky Diner was convinced to give it a try despite the $32 price tag. Since that's exactly how I decide to order stuff most of the time, I agreed with him, and we ended up getting it. It turned out to be a disappointment because the sushi rice was overly seasoned with vinegar and many of the pieces of fish were cut close to the skin, which makes the fish taste slightly more dull and fishy. Well, I was the de facto vault for so-so food, so I suppose I scored myself another filler. Despite the restaurant being very busy, we received friendly and timely service. 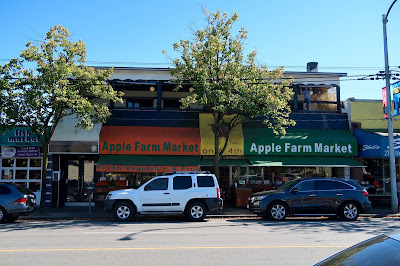 Some of the food fell short of expectations due to the high price tags, but we had a handful of well-executed dishes as well. Raisu is not exactly a place that I would be clamouring to go back to, but it is a nice place for taking aesthetic Instagram photos (if you're not stuck with the lighting I experienced) and sampling some unique izakaya food. Good post! The meal really reminds me of my dinner experience at Kingyo... It was more of a fun dinner cultural experience rather than a meal focusing on the food itself. "Food Wench claims that she has a white-girl love for Ebi Mayo, so we ordered one to try. Unfortunately, I'm not even remotely close to being a white girl, but I share a similar love for Ebi Mayo." Omg, the noren rice cooker...seems like my kind of place! @Picky Diner - I totally agree. I'm still looking for an izakaya that serves consistently good food! 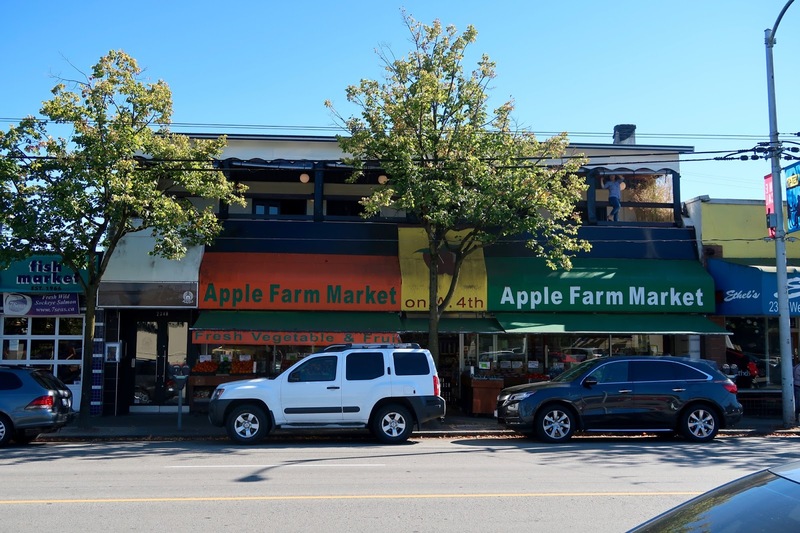 @Vancity Noms - Well, at times when I'm not dreaming about sushi, I dream about what it's like to be a white girl... jk I only dream about sushi, of course. Omg now that you mention it, you should totally try Raisu! It would make for such a great blog post, seeing how much you love rice. The Deluxe Seafood Bowl was pretty, but I now realize that C'est la Vie a Maggi got a much prettier version. Gosh darn it!